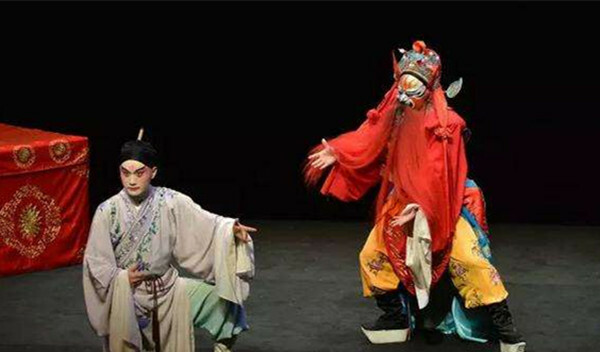 Kunqu Opera, which is also named Kunshan Vocal Cavity or Kun Opera, is believed to be the origin of all the other Chinese operas and it has also been considered to be a kind of art which appeals highbrows only. With a long history of over 600 years, Kunqu Opera originated in Qiandun Town, Kunshan County of Jiangsu Province at the end of the Yuan Dynasty(1271AD-1368AD), and it became quite popular in China in the Ming(1368AD-1644AD) and Qing(1644AD-1911AD) Dynasties. Kunqu Opera is actually a kind of very comprehensive art combining literature, history, music, dancing and esthetics. 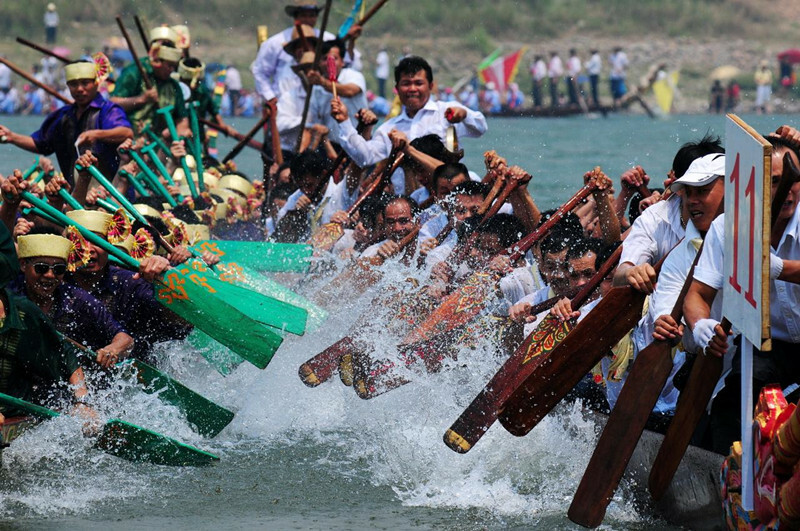 In the year 2001, it was entitled the World No 1 Oral and Intangible Cultural Heritage by the UNESCO. Nowadays there are in China six Kunqu Opera troupes and one Kunqu Research Institute, including the Sukun Opera Troupe of Jiangsu Province, the Jiangsu Provincial Kunqu Opera Troupe, the Shanghai Kunqu Opera Troupe, the Zhejiang Provincial Kunqu Opera Troupe in Hangzhou City, the North China Kunqu Opera Troupe in the city of Beijing, and the Hunan Provincial Kunqu Opera in the city of Chenzhou, Hunan Province, which are all professional organizations of Kunqu Opera. 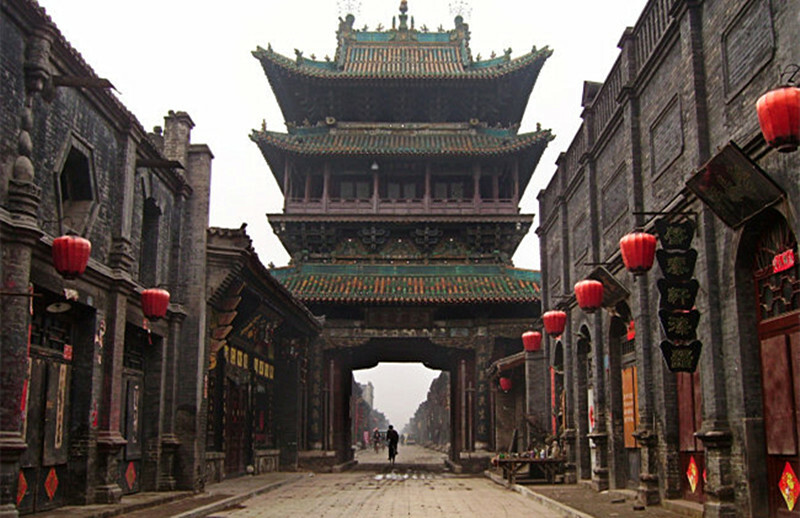 And there is also the Yongjia Kunqu Opera Research Institute in Zhejiang Province. The Chinese government has already held the China Kunqu Opera Festival for three times till now and there are also numerous non-governmental Kunqu Opera clubs all over China as well as in the whole world. 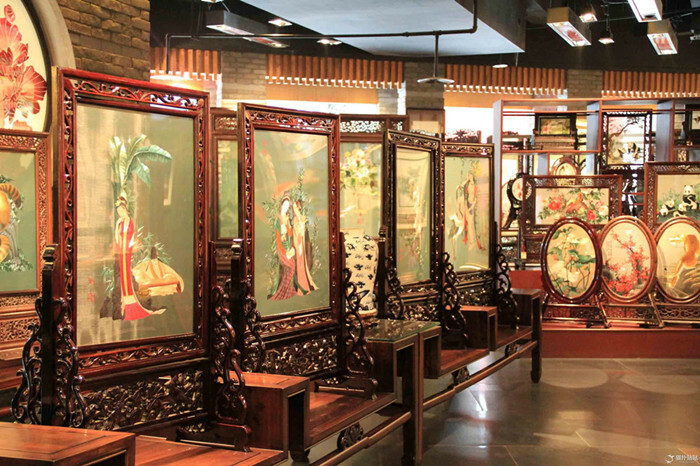 If you want to personally appreciate the unique glamour of Kunqu Opera, the Museum of Chinese Kunqu Opera should be your first choice. China Kunqu Opera Museum is located in the All-Jinhui Hall of Zhangjiaxiang, Pingjiang Road, Gucheng District, Suzhou City, Jiangsu Province. 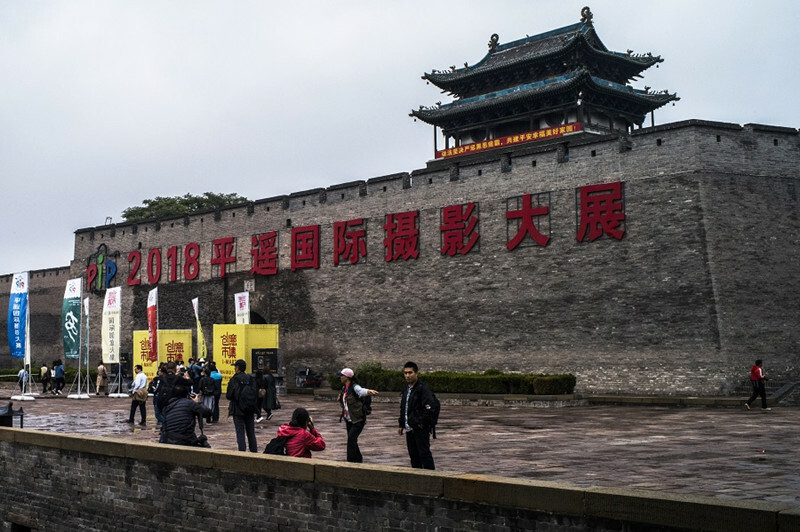 It was originally named Suzhou Opera Museum that was built in 1986 and it has been constructed in ancient Chinese architectural styles, creating an artistic ambience of Kunqu Opera. The main ornament plants in the museum are orchids, which could manifest the pureness, elegance and exquisiteness of the classic Kunqu Opera. 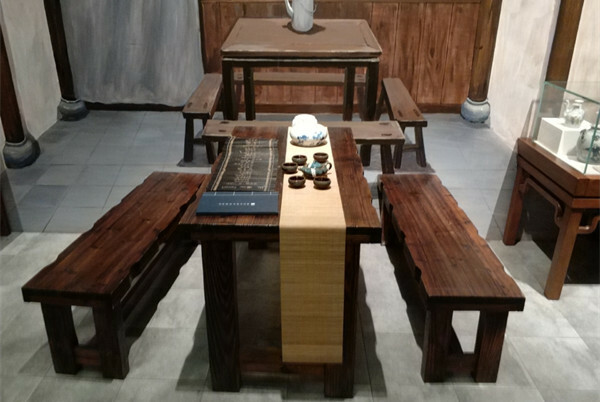 After the hard work of the local people in the past fifty years, the Museum of Chinese Kunqu Opera nowadays has collected numerous precious manuscripts and scenarios as well as tens of thousands of pieces of antiques, materials, and historical records of Kunqu Opera. 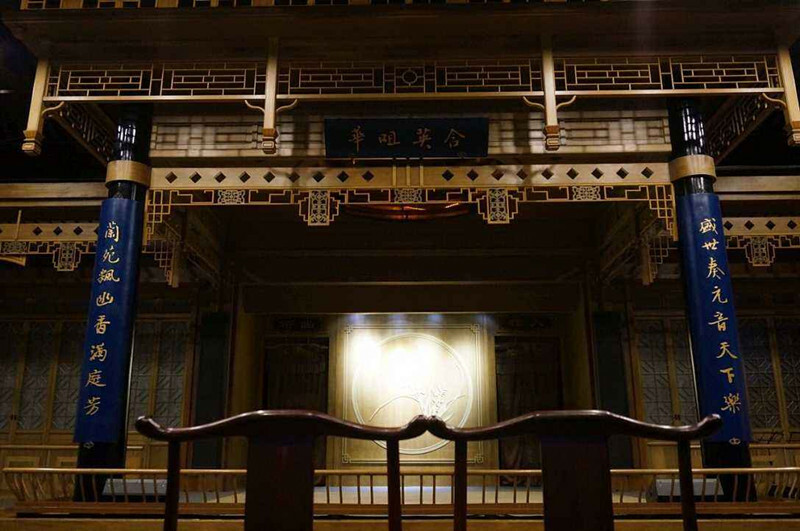 Inside the museum there are displays of the exquisite ancient opera stage from the Qing Dynasty, the exhibitions of the different types of roles, antiques , historical records, and introductions of famous Kunqu artists and their masterpieces. 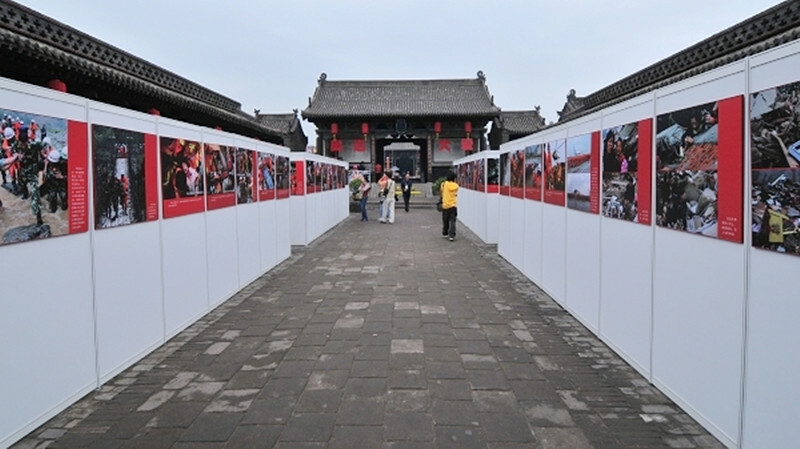 Nowadays the Audio-video Center of Kunqu Opera in the museum is being constructed and special performances of the opera could be watched almost in every week. It took quite a long period for the ancient people to absorb different vocal cavities and at last developed and improved the art of Kunqu Opera. As early as in the periods of the Song(960AD-1279AD) and Yuan(1279AD-1368AD) Dynasties, the Chinese operas had been divided into two groups, including the northern operas and the southern operas, the latter of which had quite different singing styles in different regions. At the end of the Yuan Dynasty, Gujian, who was believed to be one of the founding fathers of Kunqu Opera, worked together with other artists and sorted out and improved all the original different tunes and singing styles popular in Kunshan area before they at last developed the Kunshan Vocal Cavity, which was the early form of today’s Kunqu Opera. Then during the reign of Emperor Jiajing in the Ming Dynasty(1368AD-1644AD), Weiliangfu, who was an outstanding opera artist, made some reformations and innovations to the rhythm and singing styles of the original Kunshan Vocal Cavity , absorbed the excellent features of some of the other southern operas including the Haiyan Opera and Geyang Opera, and in the meanwhile fully developed the features of smoothness , beauty, and abundant imagination of the original Kunshan Vocal Cavity. In addition, the feature of precise structures as well as the singing styles of the northern operas were also absorbed, and some musical instruments such as flutes, Xiao, which is a kind of vertical bamboo flutes, Sheng, which is kind of reed pipe wind instrument, and Chinese lutes were played to accompany the performance, as a result, a brand new kind of opera—Kunqu Opera was formed, full of exquisiteness and grace and combining all the excellent features of both the northern and southern operas. After that, another famous artist Liangzhenyu from Kunshan city, made more research and improvements to the Kunqu Opera, based on the achievements already accomplished by Mr Weiliangfu. At the end of Emperor Longqing’s reign, Mr Liang compiled Huanshaji, whcih was the first Kunqu poetic drama in Chinese history and largely expanded the popularity of Kunqu Opera after its performance on the stage. Later, more and more scholars and artists began to write numerous dramas in the melodies of Kunqu Opera, as a result, more and more people began to learn the opera. 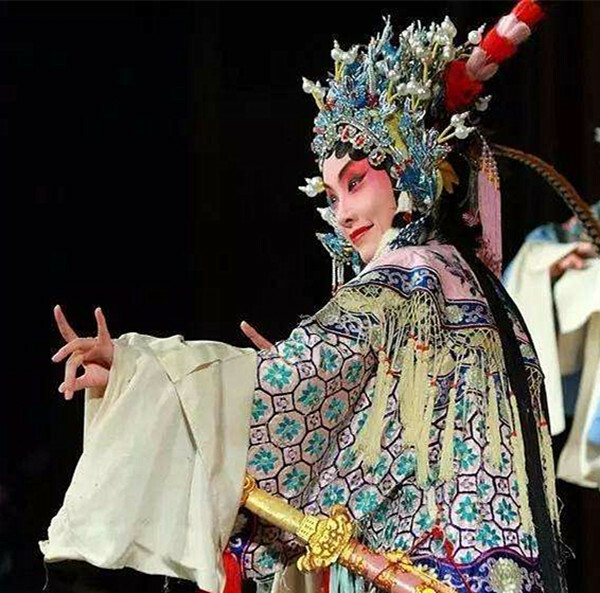 At last, Kunqu Opera became one of the four most famous operas in the Ming Dynasty, and the other three included Yuyao Opera, Haiyan Opera and Geyang Opera. At the end of Emperor Wanli’s reign(in the 1620s), as a result of the widespread performance, Kunqu Opera was spread to other places such as Beijing City and Hunan Province through the city of Yangzhou, and it quickly became the No 1 opera as well as the only one standard singing style for the performance of different poetic dramas in many areas of China. At that time there was a popular saying which went like this, ‘Kunqu Opera was always performed in whatever opera stages of whatever places in China’. At the end of the Ming Dynasty and the beginning of the Qing Dynasty, Kunqu Opera was spread to provinces of Sichuan, Guizhou, Guangdong, etc, and it became an opera enjoying national popularity. Originally, Kunqu Opera was performed in the Suzhou vocal cavity, however, after being spread to other places, it was combined with the different local dialects and folk music, and therefore there came the various groups of Kunqu Opera, which made the Kunqu family much more colorful and abundant, at last, Kunqu Opera became one of the most representative national operas of China. Kunqu Opera was developed to its golden age during the reign of Emperor Qianlong(1735AD-1796AD) of the Qing Dynasty. From then on, it continued to be the No 1 opera on the stages of China in the following six hundred years. 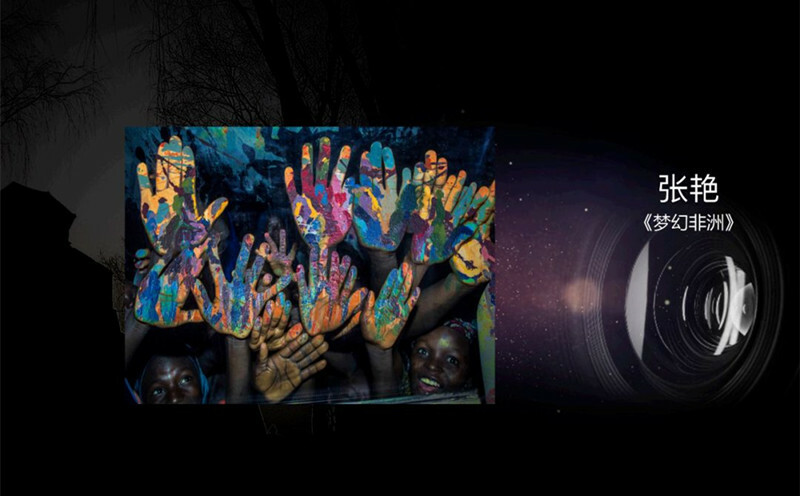 Nowadays it has become one of the oldest operas with a splendid tradition and history both at home and abroad. According to the research of scholars, the esthetics represented by Kunqu Opera outwardly belongs to the southern Chinese culture, especially the culture of the regions in the south of the Yangtze River, however, substantially speaking, the cultural identity of the opera does not belong a specific historical period or geographic area, it is actually a combination of esthetic pursuit and artistic creations of the Chinese scholars from various parts of the country. 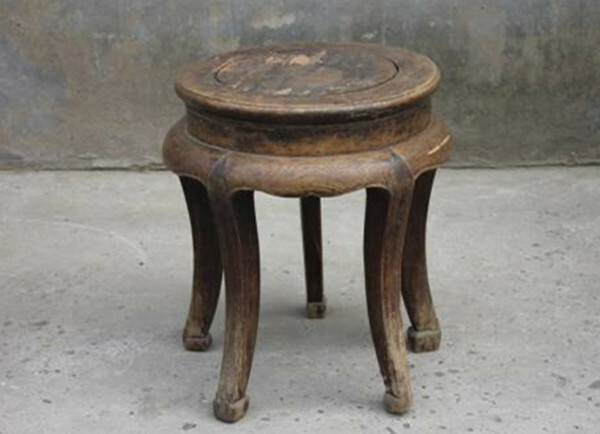 Just because it is the result of the Chinese scholars’ elegant taste and refined pleasure, it is quite powerful and could be spread widely in China , and moreover, during the spreading process, it has always by and large been maintaining the consistency of its inward and outward esthetics. As the traditional cultural art of the Chinese nation, Kunqu Opera is one of the oldest traditional Chinese operas and also an rare art treasure in the opera family. It has been called an orchid from the spring garden. 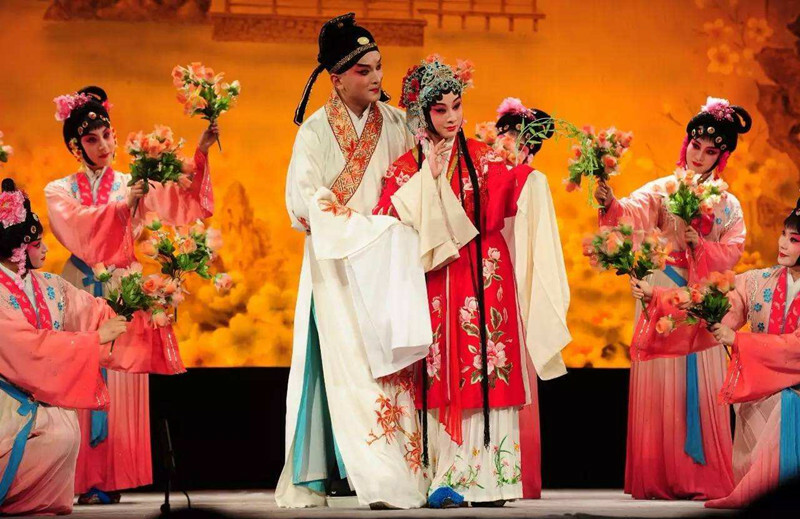 The operas that had the widest influence in China between the middle age of the Ming Dynasty and the middle age of the Qing Dynasty were mostly developed on the basis of Kunqu Opera, which therefore nowadays has also been well known as the Father of Chinese Operas. Kunqu Opera has the most integral performing system in the history of Chinese operas , and with its colorful contents and abundant heritages as well as representing the fruit of highly developed Chinese national cultural art , the opera has played in Chinese history a very important role in the development of literature, operas, music, and dancing. Sheng: Sheng refers to the young male character type in Kunqu Opera. 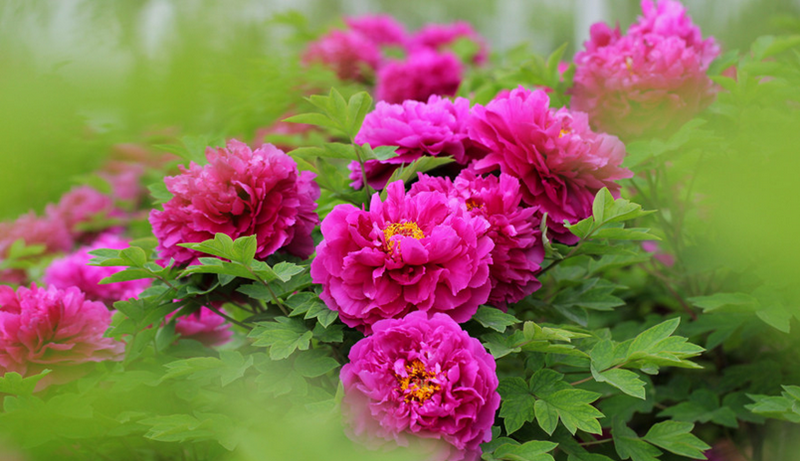 It includes two basic types—Jinsheng and Guansheng. Jinsheng in Chinese means one who wears a turban, and usually young intellectuals or successful candidates at the imperial examinations in the provincial level in the Ming and Qing Dynasties wore turbans on their heads. 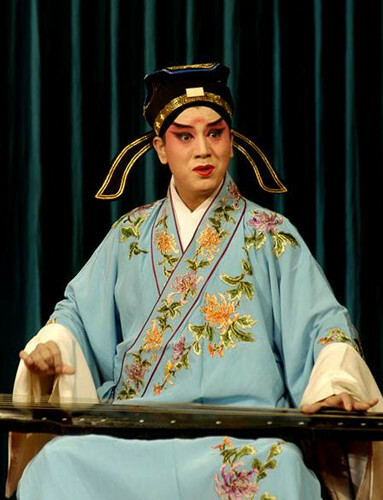 For example, the character Liumenghai in opera ‘The Peony Pavilion’ is a Jinhsheng. Guansheng in Chinese actually means young government officials, and examples of Guanhsheng include Xujizu in opera Bailushan, and Tangminghuang in opera Changshengdian. Those actors who wear artificial whiskers in Kunqu Opera are called Big Guansheng. Dan: Dan refers to the female characters in Kunqu Opera and it includes five different types such as Laodan, Zhengdan, Sidan, Wudan and Liudan. Laodan refers to the old female characters, such as Mrs Cui in opera Nanxixiang, Zhengdan refers to the middle-aged female characters who have had a lot of hard experiences and are quite strong-willed , such as Mrs Cui in opera Cankeshan, Sidan refers to the female characters who are good at marshal arts, and it is also called Murder Roles, such as Feizhene in opera Tieguantu. 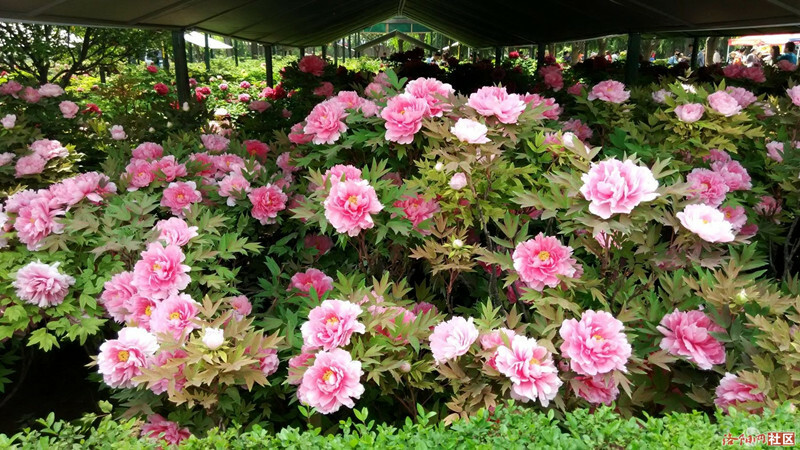 Wudan, which is also called Boudoir Roles, refers to young female beautiful characters who have got married and they are always the main female characters in love stories, such as Duliniang in the Peony Pavilion. 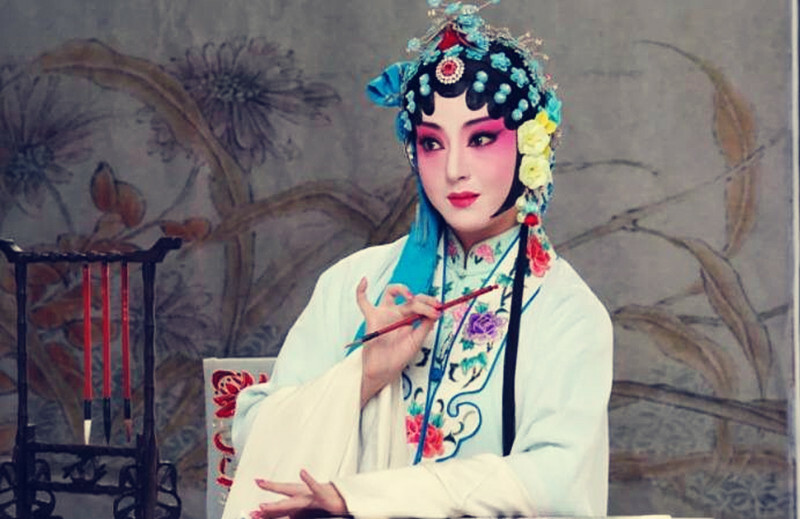 Liudan always refers to young maids or servants of Wudan and they are most of the time also main characters in the opera, such as Hongniang in opera Nanxixiang. Jing: Jing has always been nicknamed Colorful Face and it includes Damian and Baimian. 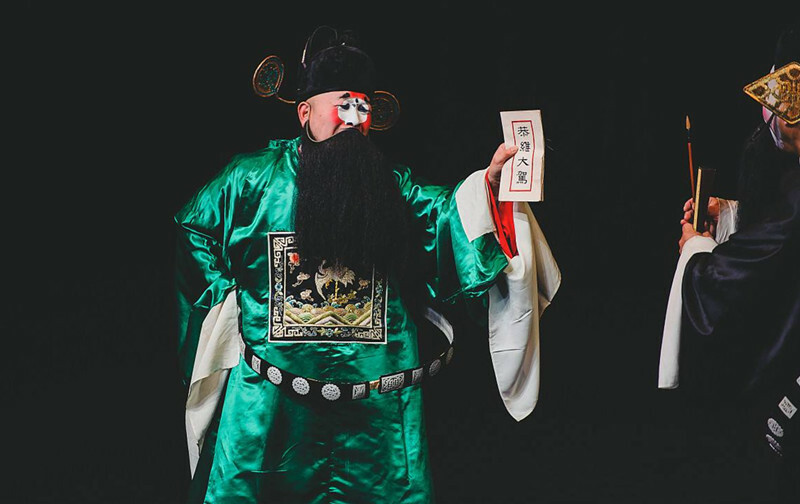 The former has also been known as Big Colorful Faces, which mainly contain roles of loyal government officials, kings or emperors, and gods or deities, such as Emperor Zhaokuangyin in opera Fengyunhui. And the latter mostly refers to vicious and mean people, such as the treacherous government official Qinhui in opera Jingzhuiji. Mo: Mo refers to the middle-aged and old male characters who wear artificial whiskers. It includes three types,such as Laosheng, who are usually very good at marshal arts, Fumo and Laowai. 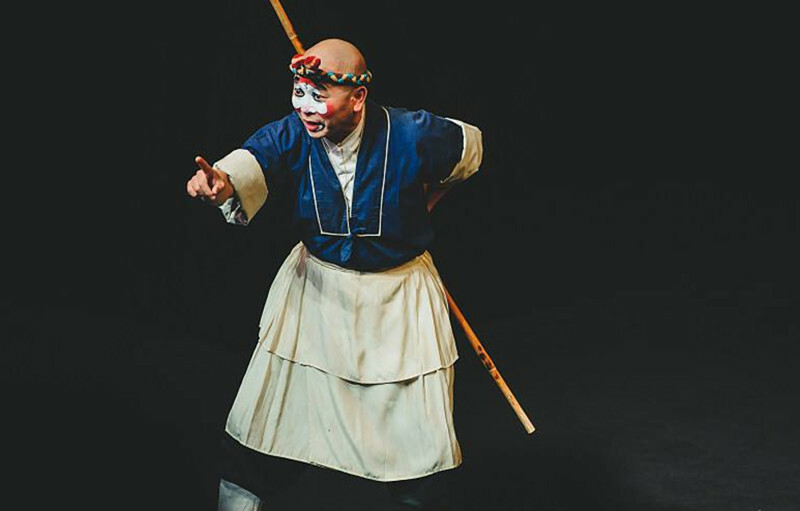 The characters of Laosheng are usually young men who enjoy very high social status and who are mostly the main characters in the opera, examples include Suwu in opera Muyangji, and Linchong in opera Baojianji. Fumo usually refers to the minor roles, who are usually lower class servants, such as Licheng in opera Jingchaji. 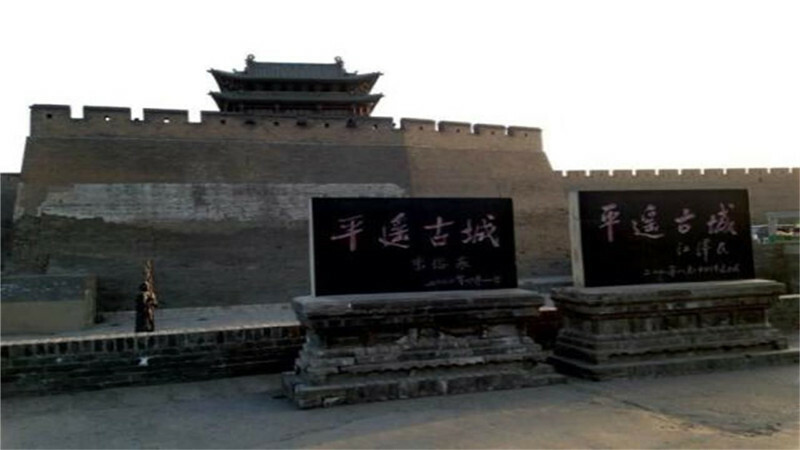 Laowai refers to old characters, who are mainly important officials of the imperial court, such as Wuyuan in opera Huanshaji. Chou: Chou is also known as Small Colorful Face and it includes two types of roles, such as Xiaochou and Fuchou, who usually make some antics or speak some humorous words to make audiences laugh. The characters of Xiaochou are usually kind-hearted and humorous unimportant people, such as the role of Benwu in opera Niehaiji, and the characters of Fuchou are vicious and cunning people of high social status, such as Yanyuji in opera Ynazizhan. There is actually another kind of roles of little importance in the opera and therefore they are not taken as the main type of characters in the opera. They are extras with no names or titles, such as carters, boatmen, umbrella men, unimportant minor officials, eunuches , maids in the imperial palace, and utility men. Generally speaking, a traditional Kunqu Opera troupe only needs 18 actors and actresses in total. Only in a few very big opera troupes there are twenty seven performers. Normally a troupe that has ten performers that contain all the main types of characters could give performances and other characters in need could be replaced by those whose roles are the similar types. The ten performers mentioned above are also called ‘Ten Main Pillars’ of the troupe, and they are Jing, Guansheng, Jisheng, Laosheng, Mo, Zhengdan, Wudan, Liudan, Fu, and Chou, and the quality of the performance mainly depend on the acting of four roles, including Jing, Laosheng, Guansheng, and Zhengdan. Different types of the roles in Kunqu Opera have their own special performing movements, languages, skills and procedures, which play a very important part in portraying the personalities and mental states of the characters as well as dramatizing the plot and elevating the appeal of the opera. As a result, the intact and unique performing system of Kunqu Opera has been formed. As one of the many different national and/or ethnic types of traditional Chinese female costumes, the Qipao – alternately known as the Cheongsam – originated as a traditional women’s formal-dress costume within the Manchu ethnic minority. During the early part of the 20th century, the Qipao was also adopted by women in the majority Han Chinese ethnic group, who made a number of alternations to the then-existing Qipao in what, in hindsight, can be said to represent the beginning of the sexual emancipation of the Chinese female, which emancipation would first be achieved with the emergence of the People’s Republic of China, when women gained equality. The transformed Qipao, having thus become a pan-Chinese costume, was officially designated in 1929 as a Chinese national formal-dress costume for females by the government of the Republic of China (1912-1949), the successor government to the last Imperial dynasty, the Qing (1644-1911) Dynasty. After the founding of the Republic of China in 1912 and the spirit of freedom that this monumental event unleashed, Han Chinese women from the cities of Shanghai and Beijing began to make alternations to the Qipao, gradually transforming what was essentially a standard Manchu costume for females into a formal pan-Chinese costume which would thereafter serve as a symbol for a woman of learned background, irrespective of ethnic heritage. By the time it was approved as a Chinese national formal-dress costume for females in 1929, the Qipao had undergone a number of significant changes that elevated its status as a stylish, yet sedate costume for the Chinese female. However, after the founding of the People’s Republic of China in 1949, the wearing of the Qipao in mainland China gradually fell into disuse – though it did not disappear entirely, and, in fact, away from the major cities the Qipao was worn frequently – since it was equated with the feudal, hierarchical society of old that, in the view of the government of the PRC, oppressed women. Later, during the Cultural Revolution (1966-76), the wearing of the Qipao in mainland China all but disappeared, as it was considered an unacceptable bourgeois symbol. Fortunately, with the advent of the reform period of Deng Xiaoping in the 1980s, and the opening up of China as a result of the visit to China by the U.S. president, President Richard Nixon, the Qipao made a gradual comeback, being re-considered, as it were, as one of the exceptional representatives of traditional Chinese formal-dress costumes. On the Chinese island of Taiwan, on the other hand, the Qipao continued uninterruptedly to enjoy popularity as a traditional Chinese formal dress for women, and is still very popular throughout Taiwan, though today one sees Western-inspired female formal dress on Taiwan as often as one sees traditional Chinese models of formal dress, such as the Qipao. In Hongkong, a girl’s school-uniform version of the Qipao that stems from the early 20th century transformation of the Qipao into a pan-Chinese dress costume for females continues in an unbroken chain to this day, i.e., ., it is a 100-year-old tradition that still thrives in Hongkong. Moreover, the Qipao continued – and, indeed, continues – to thrive as a beautiful, traditional Chinese formal-dress costume for women among the Chinese diaspora the world over. 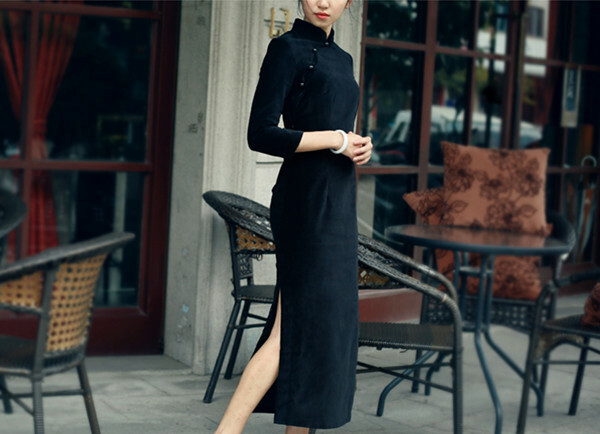 The elegant Qipao is characterized by a stand-up collar (this is a general feature of Chinese dress, i.e., it is a feature that often applies to both male and female dress), a tight waist design (as can be understood, not all women can fit into the Qipao! ), and buttons made of silk or cloth. Additionally, the Qipao is slit on either side, exposing glimpses of the legs during movement. 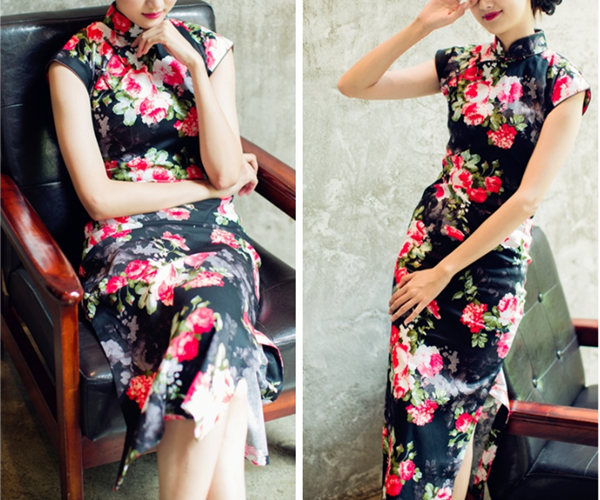 Other features of the Qipao that are optional (do not apply to all Qipao styles) are that the dress either extends to just above the feet (the most traditional style) or to just below the knees, that it has long sleeves (the most traditional style) or short sleeves. These modern options, though they may not please traditionalists, have ensured that the Qipao remains popular. As a result of over a thousand years of deeply-rooted cultural mores of Imperial era feudal China, a woman’s dress was not allowed to reveal her figure; all was straight, vertical lines that concealed the bosom, the waist and the hips. It was a strict taboo for a woman to wear any form of dress that even hinted at her actual shape. 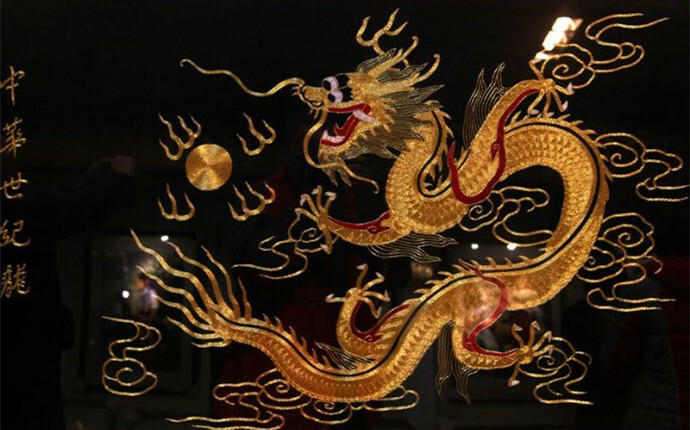 This began to change toward the end of the Qing Dynasty and the beginning of the post-Imperial period immediatly following, i.e.., the period of the Republic of China. 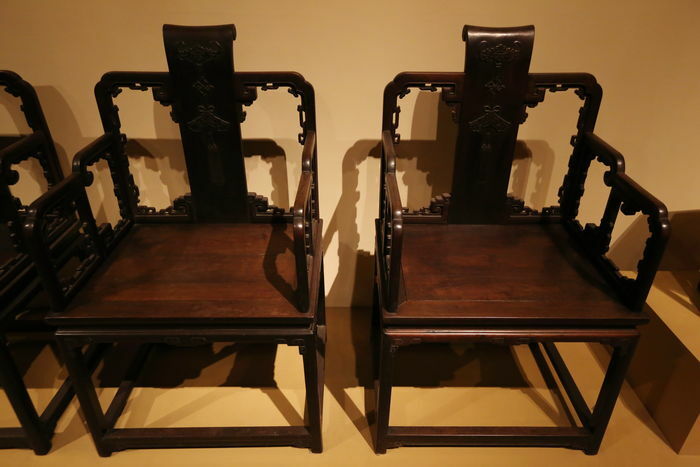 This change was gradually ushered in during a period of much social upheaval in China as a result of widespread contact with Western culture, to which China responded alternatingly with acceptance and rejection, in a ‘two steps forward and one step backward’ fashion. At the beginning of the 20th century in China, lined, short gowns with loose, broad sleeves – over which a long, sleeveless waistcoat (think of a vest) was worn – were quite popular among Chinese women. It was at this time that the Chinese female began to alter her clothing in subtle ways that suggested the beauty of her curvature. Using the traditional Qipao, certain alternations were made to the sleeves, the collar and the borders, with adornments added at the same time. 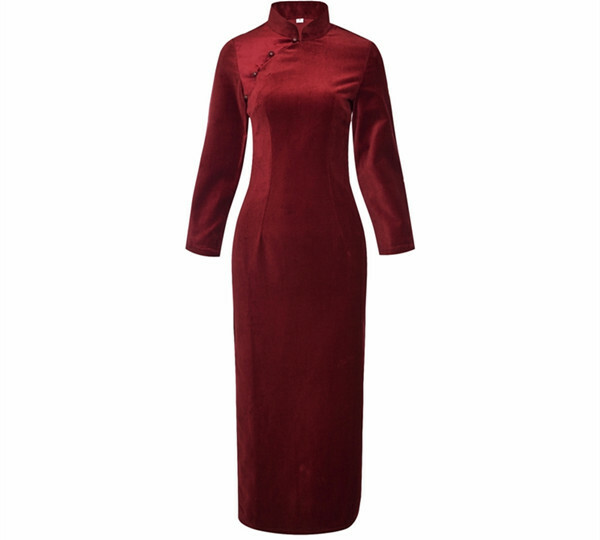 These small stylistic changes added up, over the space of 10-15 years, to rather complex changes to the original Qipao, subtly suggesting the female form underneath, yet somehow this classic Chinese dress, with its Manchu ethnic origins, managed to retain an air of austerity about it – especially its broad shoulders, its upright collar and its vertical lines in general – which formal features no doubt helped it to gain official recognition by the government of the Republic of China in 1929. The city of Golmud, a treasure basin of oil and minerals, including an abundance of salt (there are 20 salt lakes surrounding the city, some large, some small) and natural gas and oil reserves, as well as reserves of precious metals and precious stones, is the second-largest city in Qinghai Province. Golmud lies on the southern edge – roughly midway, east to west – of the Qaidam Basin, a large depression that lies south-southeast of, and almost adjacent to, the much larger depression, the Tarim Basin of Xinjiang Uyghur Autonomous Region (Xinjiang, for short). 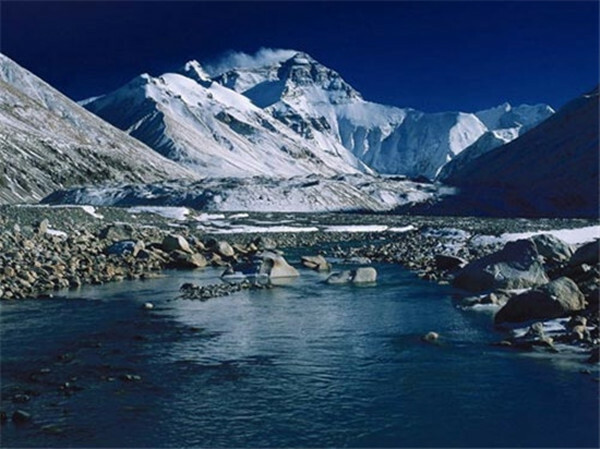 The two basins are separated by a thin mountainous strip of the Kunlun Mountains as they trail eastward (this phenomenon is called a yardang – see below), while the main expanse of the Kunlun Mountain range in this part of the Qinghai-Tibet Plateau skirts first south, then back north, or around the Qaidam Basin, continuing on eastward into the northwestern corner of Qinghai Province. 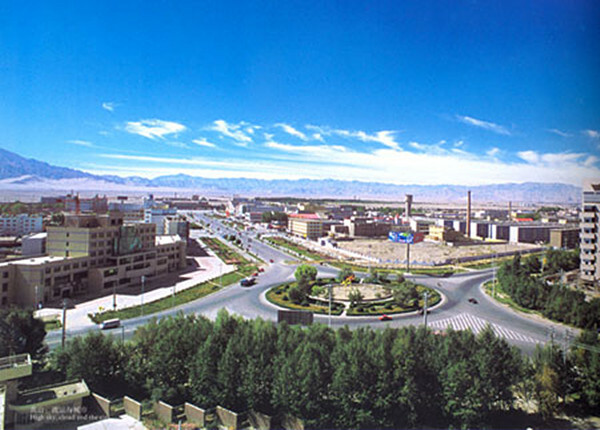 The area around Golmud, as indicated, is blessed with extensive natural resources, which has led to the development of a chemical industry in Golmud which, among other things, produces magnesium, potassium and salt, prime components in the manufacture of artificial fertilizer. In fact, nearby Qarham Salt Lake supplies China’s largest production facility, located on the outskirts of Golmud, for fertilizer as well as for separately produced magnesium, potassium and salt for other industrial and consumer oriented purposes. Thanks partly to the fertilizer of Golmud (and partly to a special tree-planting initiative), the seemingly inexorable march of the Taklamakan and Gobi deserts has been arrested in many places, and in some instances, has been reversed. The more than 20 salt lakes in the area have earned Golmud the nickname of “China’s Salt Lake City”, as in the famous city of the same name located in the U.S. state of Utah. Golmud, and the Qaidam Basin in general, are rich in deposits of coal and oil, as well as in natural gas. For example, Golmud’s natural gas reserves have been estimated at a trillion cubic meters. The city is also home to an oil refinery and various related petrochemical industries. In addition, this uniques treasure basin is rich in copper, gold, lead and zinc, as well as in jade and other precious stones. Golmud’s rocket-like industrial growth would inevitably provide the economic wherewithal to also grow the city as a cultural center, and this process has only just begun. The area around Golmud is no stranger to culture, however, as the ancient cities that ringed the Qaidam Basin, as an “upland” area to the Silk Road trade route (one route of the Silk Road followed the southern rim of the Tarim Basin just north of the aforementioned yardang – a yardang is an irregular ridge with a sharp crest barely separating two deep, round-bottomed troughs that have been carved out by wind erosion; in this case, the Tarim Basin to the north and the Qaidam Basin to the south). Moreover, the ancient city of Dunhuang (think of the grotto art of the Han (BCE 206 – CE 220) Dynasty period), which was a major stopping-off point on the Silk Road, lies only about 450 km northeast, as the crow flies, of Golmud. Golmud is a modern city with a modern housing and transportation network, and with a budding education and cultural environment, thanks to the city’s rapid economic success. Already Golmud is the second-largest city in the province, and continues to expand as it prospers, branching out in other economic areas such as tourism, and, in time, the city is set to also become a major educational center for the region. Golmud is also a major hub on the Qinghai-Tibet Railway, which connects Qinghai Province (the cities of Xining and Golmud) to Tibet Autonomous Region (the city of Lhasa). There are 25 ethnic minorities living in the greater admistrative region of Golmud, whereof Tibetans are the largest such group, followed by the Tu, the Hui, the Salar and the Mongols, while the Han Chinese majority group dominates. 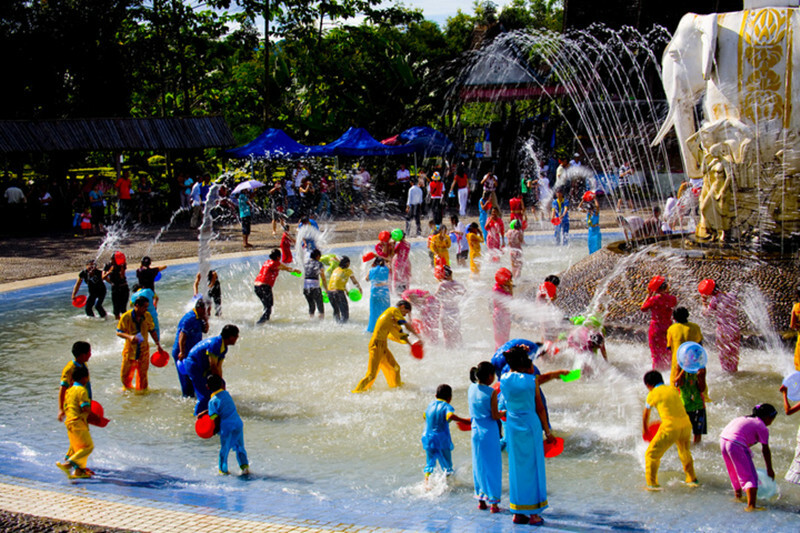 The area offers several other highlights such as Wangzhang Salt Bridge, the headwaters of the famous Changjiang (Yangtze) River, Tangula Mountain Pass in the Tangula region of the city, Geladandong Snow Mountain, Plateau Wild Animal Park, and the aforementioned yardang, a thin sliver of mountain range that has been all but covered in sand, with only the crest showing. The weather pattern of Dali Bai Autonomous Prefecture, aka Dali, is defined by its latitudinal and topographical features. Firstly, because Dali lies on a low latitude in the northern hemisphere (it lies at a latitude of 25 degrees N, circa, only 1.5 degrees above the Tropic of Cancer at 23.5 degrees N) it tends to have a warm, subtropical monsoon climate, but because it is situated on a high plateau, it tends to be cooler than more low-lying regions, such as neighboring Kunming, about 315 km (195 mi) to the east. Therefore Dali has a relatively temperate climate year round, with no extremes in summer or in winter. 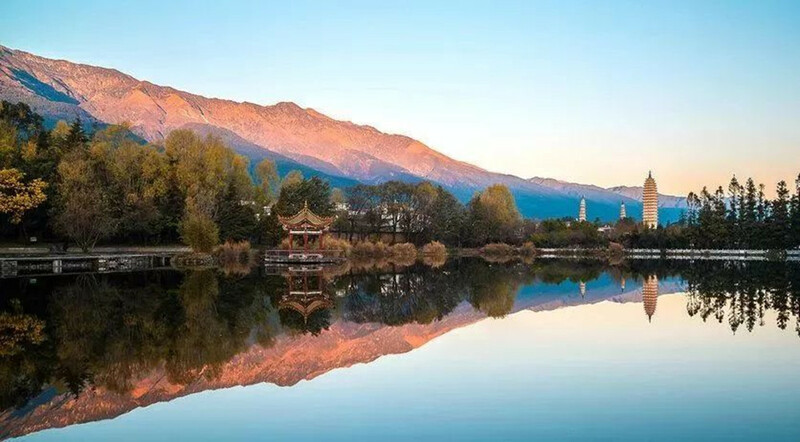 In fact, as is true of most of Yunnan Province except for mountainous terrain, the daily temperature variation tends to be greater than the seasonal variation in temperature, which calls for layered clothing, or jackets and sweaters early in the morning and again during the evening. 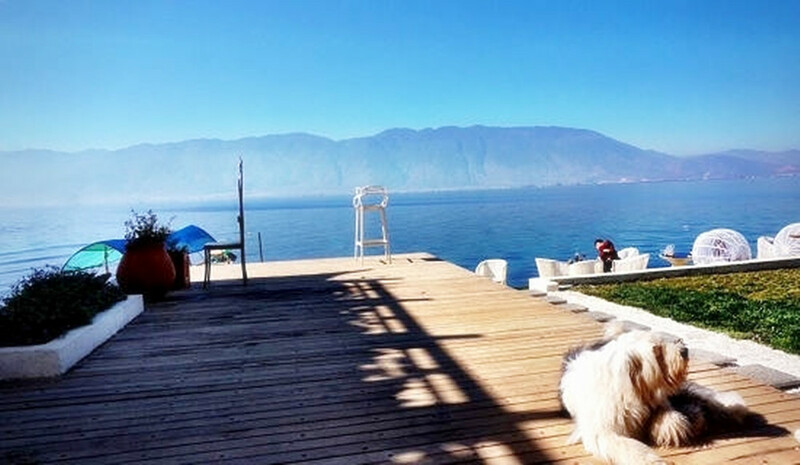 The climate of Dali is generally characterized as a subtropical highland monsoon climate, with lots of sunshine and fresh air. 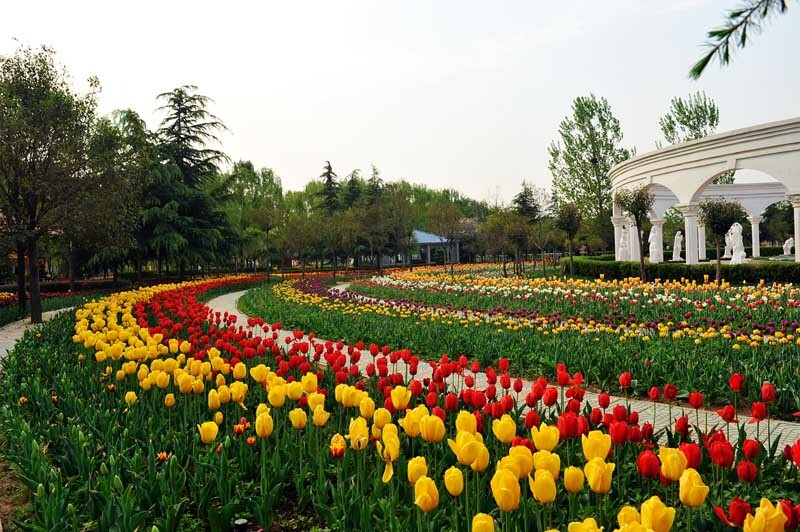 In fact, quite a lot of both – and especially the latter – given that the city is located on a flat plateau between a mountain range (the Cangshan Mountains to the west) and a large lake (Lake Erhai to the east), creating a natural wind tunnel, Dali gets a great deal of wind, year round. In fact, like the city of Chicago in the U.S., which is also located nearby a large lake (Lake Michigan) and therefore gets a lot of wind year round, Dali is nicknamed “Windy City”. 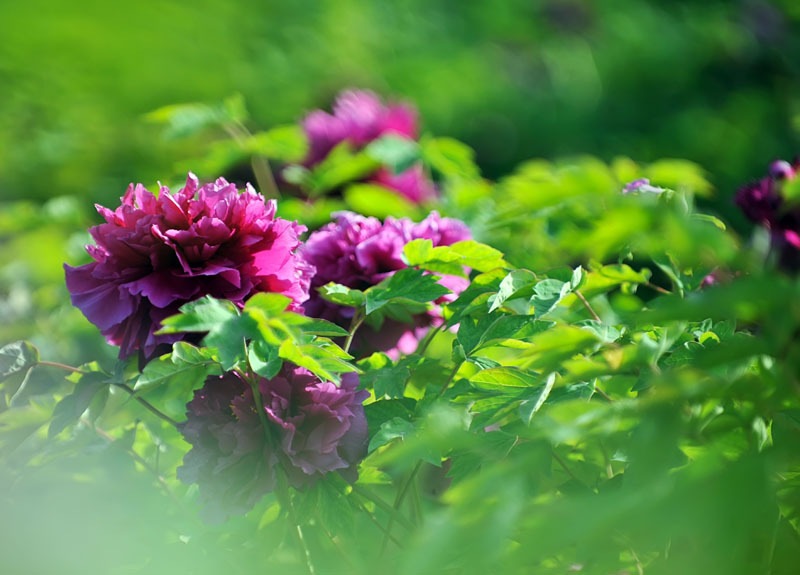 The best time to visit Dali is from March to June when springtime is in full swing and all of nature seems to be in the process of rebirth, as it were. Chengdu provides a lot of convenient shopping places to tourists who are from different provinces or countries, offering a wide range of Chinese and Tibet-style “souvenir items” appeared from traditional Chengdu (Shu) brocades and embroidery to great splendid art objects (mostly replicas, some antique), and more traditional Chinese ornaments and souvenirs. 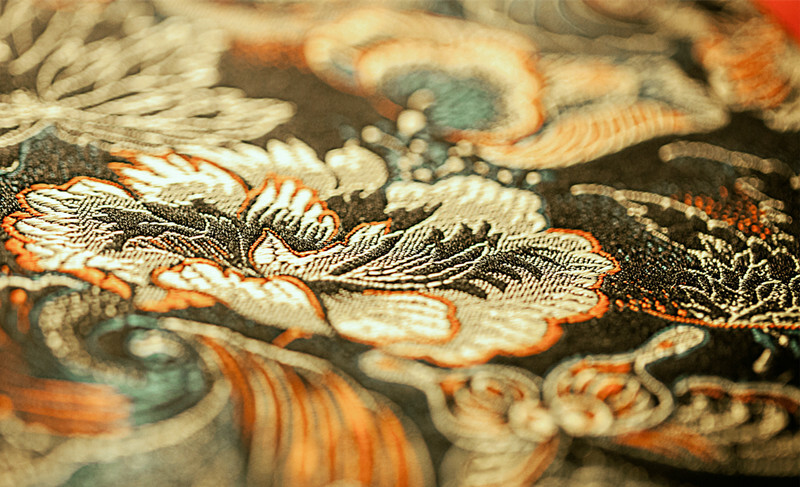 Brocades – usually silk brocades – are one of the most popular “souvenir items” among tourists, as they are not only typically Chinese, but also have high their own value. 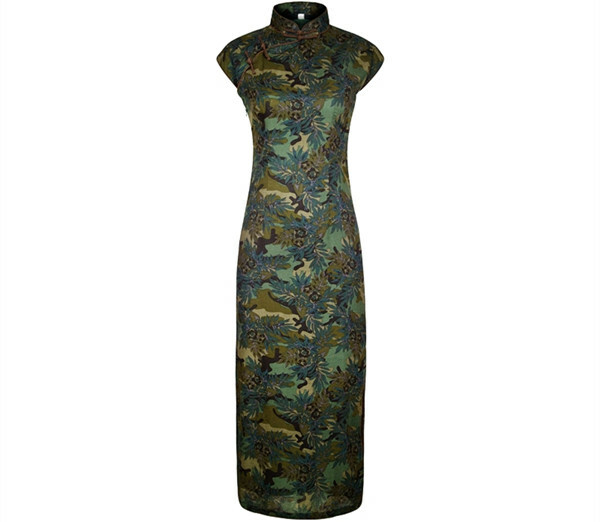 The Shu brocade style was regarded as the age-old brocade style developed over the aeons in the Chengdu area. The Shu brocade style is one of the four famous and legend brocade styles in China, the other three being Hunan, Cantonese and Su brocade styles. 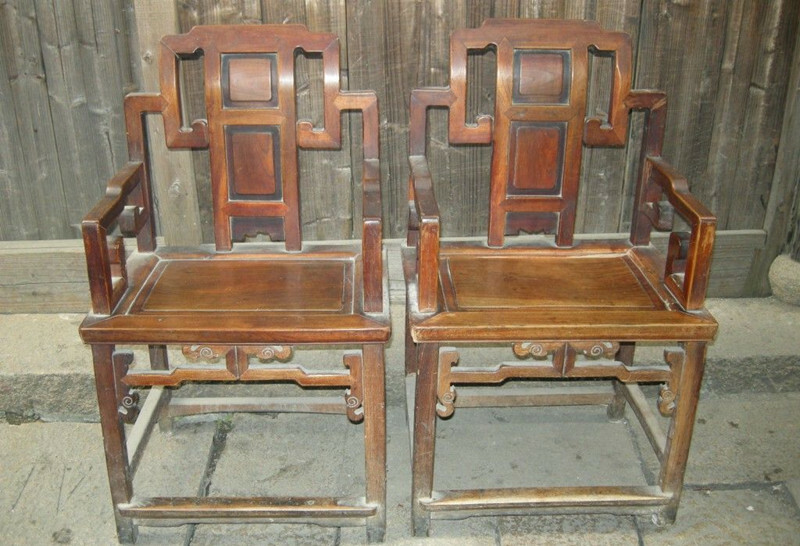 Popular art objects include: silk prints with literary, landscape and calligraphic motifs; bamboo and ivory carvings; porcelain; and jade. 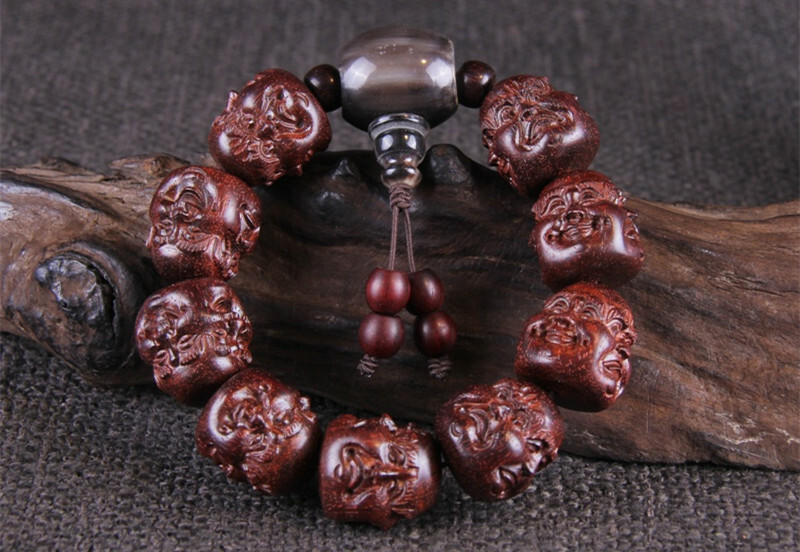 Popular ornaments include Tibetan-style jewelry items such as highly colorful beaded bracelets and necklaces (sometimes also worn as a head adornment), tassels and more traditional jewelry such as earrings, pendants and bracelets made of precious metals such as gold, silver and copper. Souvenir items range from postcards and key-ring trinkets to the aforementioned art objects such as wood and ivory carvings, etc. Shu brocade has a long history dating back to the Tang (CE 618-907) Dynasty; In that era, the Shu brocade, as a Silk Road trade commodity, was sold by haberdashery merchants in shops in Japan to the north and in shops as far away as and Baghdad, Damascus and Constantinople to the west. Shu brocades were – and are still – richly colorful and complex in pattern. 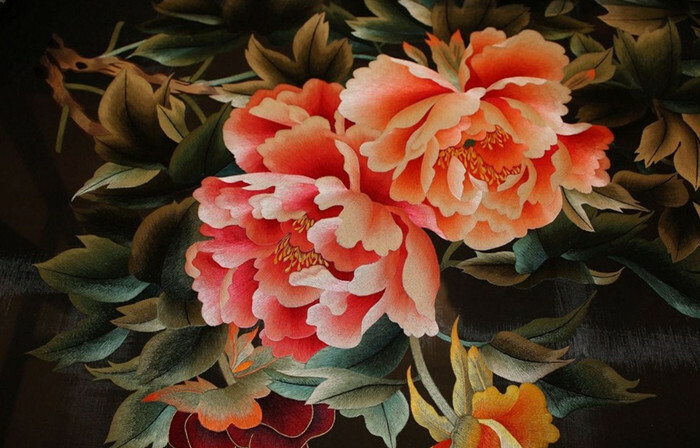 Shu embroidery – then as now – is used to embellish such familiar items as quilt covers, pillow cases, articles of clothing, women’s shoes, and a host of other articles of both practical and non-practical, or artistic, use, such as tapestries. Shu brocades and embroidery can be found in the shops of Chengdu that specialize in such items – For example, in the Hongqi Shopping Store chain, one of which stores is located on Shudu Street, the other on Zongfu Street – with prices as low as 300 Yuan (roughly $44 USD). Shu brocades and embroidery can also be found at the Shu Brocade Academy in Chengdu, located at 1 Caotang East Road, which also serves as a historical exhibition dedicated to the history and art of brocade weaving in Chengdu. Regarding of how the academy came into, it is an interesting story in itself. 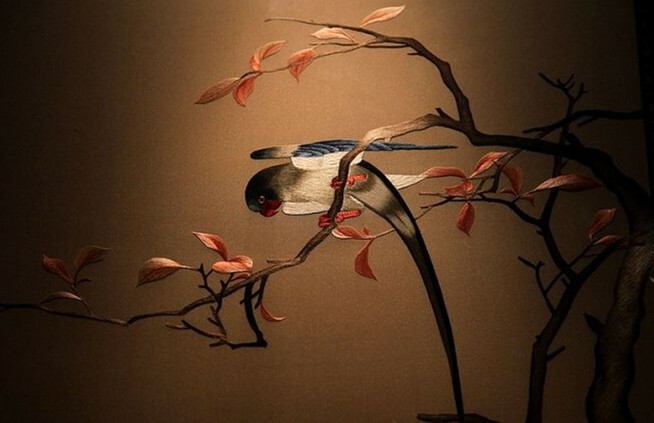 In the early 1990s, the last remaining silk brocade factory in Chengdu closed its doors, due to falling demand (the once-stable Japanese market even dried up). 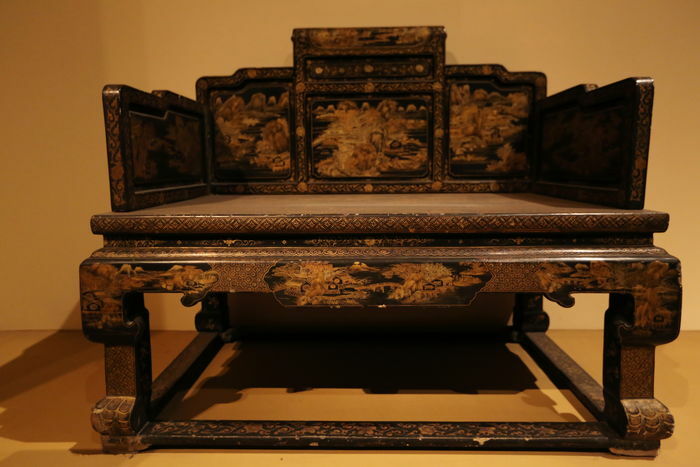 A few years later, a local entrepreneur, bemoaning the loss of this last vestige of an ancient Chinese cultural institution, purchased the defunct factory, hired a limited staff, and tied the factory to an academy, or museum, dedicated to preserving the history and art of brocade weaving in Chengdu. 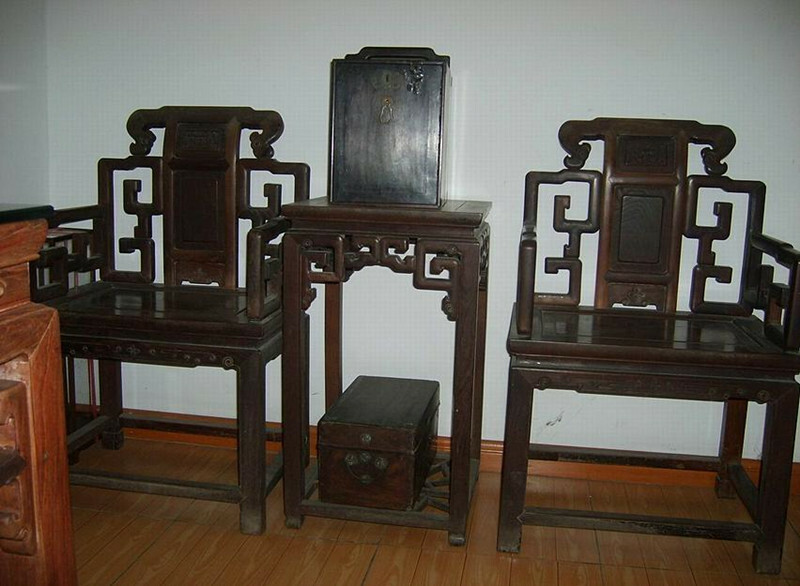 Thus the Shu Brocade Academy in Chengdu is part museum, part commercial enterprise. Thanks to the exposure to foreign markets that tourism has indirectly provided and orders from abroad, the production of brocades has picked up due to increased demand (yet another good reason for you to pay a visit to the Shu Brocade Academy when in Chengdu, then tell your local haberdasher about it when you get back home). The Shu Brocade Academy in Chengdu preserves ancient brocade-weaving patterns, techniques and designs new ones. They have some wonderful old looms on display, and the attached brocade and embroidery factory has a boutique that offers everything from tiny souvenirs to large, beautiful brocades as well as some magnificent, hand-woven brocade articles that simply can’t be woven by machine. 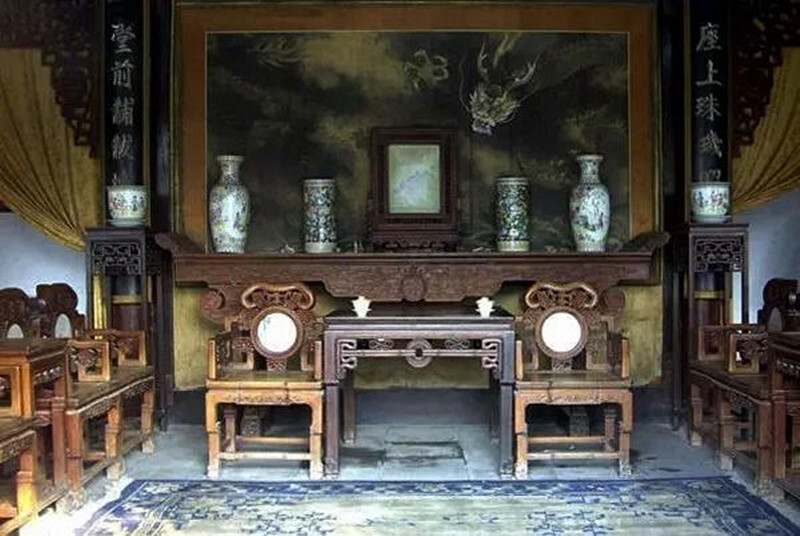 Chengdu offers a large range of art objects, including silk prints (various motifs from human figures to landscapes to pure calligraphy), replicas of ancient Imperial era rubbings (of coins, seals, etc. 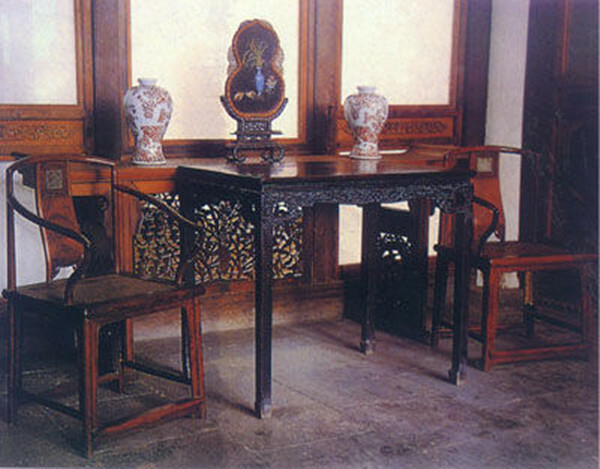 ), carvings (wood, bamboo and ivory) and replicas of Imperial era porcelain as well as jade and agate figurines, mask, etc. In some shops one might be lucky enough to run across a genuine antique exemplar of these items. 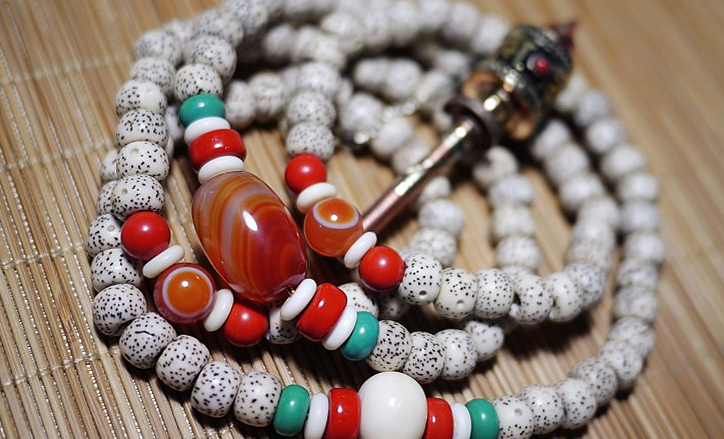 There are many Tibetan-style ornaments & souvenir gift shops concentrated near Wuhou Temple. These offer unique beaded jewelry items such as highly colorful bracelets and necklaces – including a special variant that is wound around one’s head as a distinctive and colorful adornment – tassels, and more traditional jewelry items such as earrings, pendants and bracelets made of gold, silver and copper. There are souvenir & handicraft gift shops concentrated near Lotus Pond that sell more traditional Chinese gift items ranging from trinkets to carvings to brocades. If you need to pick up gift items for several friends back home but do not wish to fill up your luggage with heavy and/or bulky items, then either of these shopping areas, as well as the Shu Brocade Academy (the latter have many small brocade articles that weigh hardly anything and fold away to nothing) and the Hongqi Shopping Stores mentioned above, are ideal places to look. 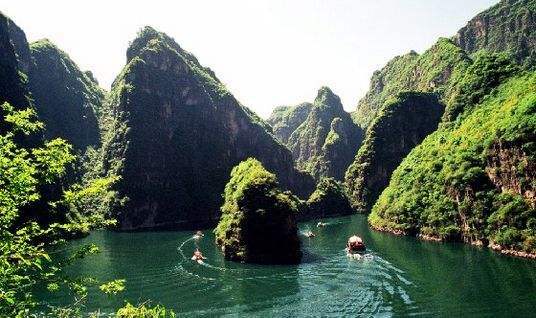 Longqing Gorge, located about 80 km (50 mi) northwest of Beijing, and sometimes referred to as the “Little Three Gorges” (As in the three gorges of the Three Gorges Dam project), is named after Emperor Longqing of the Ming (1368-1644) Dynasty, during whose reign (1567-1572), the Great Wall had been penetrated by a Mongol force under the command of the Altan Khan, reaching Beijing itself, though the emperor managed to repulse the khan’s army. Later, the emperor, seek to neutralize the Mongol threat by peaceful means, signed a trade and security pact what one might today call with Altan Khan whereby the khan purchased silk from China in exchange for horses. Peace ensued. Today, Longqing Gorge, confidently shaded between two tall mountain peaks, is known mainly as the venue for the annual Beijing Longqing Gorge Ice & Snow Festival where, among other things related to snow and ice, massive blocks of ice are sculpted into all kinds of interesting, beautiful and sometimes spectacular shapes, including representations of animals (including the dragons in mythical), human figures and lanterns. 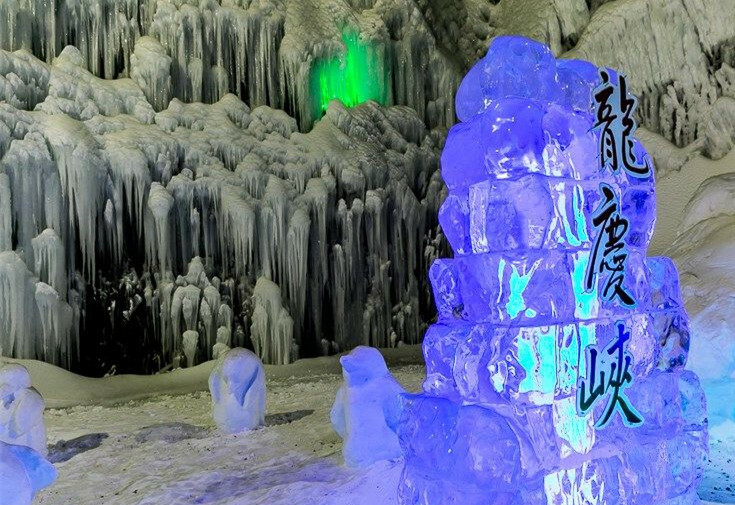 There is a number of fixtures among the ice-art works, such as the Peacock Welcoming Springtime (Kongqueyingchun), the Soaring Dragon (Longteng), the Smiling Face (Xinchunxiaokaiyan) and Nature’s Annual Revival (Wangxianggengxin). Besides the ice sculptures that can be admired here, there are fireworks ceremonies, folk dancing, and pageants. In addition, there are other nearby ice sports activities separate from the sculptural exhibits, such as ice fishing. 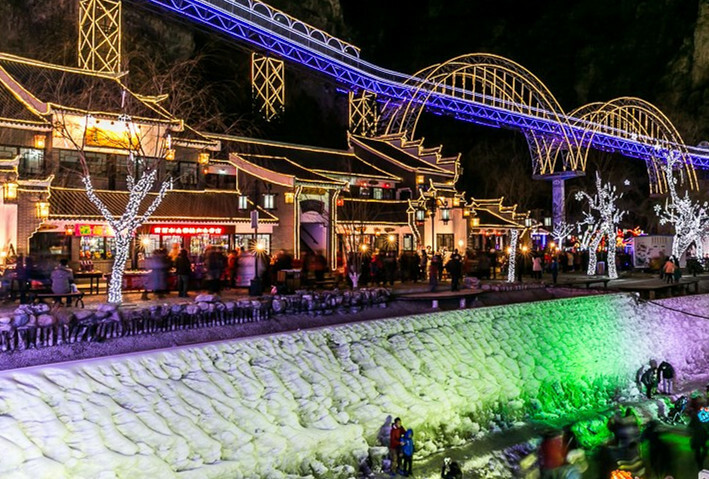 The Beijing Longqing Gorge Ice & Snow Festival, which, at night, is illuminated by a flood of colorful lights, is held each year from the 15th of January through the 29th of February. During the rest of the winter season, the area is closed to tourists, but opens for the summer-autumn season (April 10th to November 15th), where the gorge is known for, among other things, its bungee jumps. If you are at Longqing Gorge during the summer-autumn season, don’t forget to have a look at the nearby Kangxi Grasslands, named after the Qing (1644-1911) Dynasty emperor, Emperor Kangxi, who reigned from 1661-1722. And of course, regardless of when you visit Longqing Gorge, you absolutely must visit the Great Wall at Badaling.